Inner and outer envelopes. 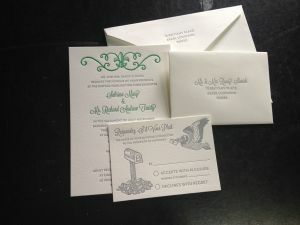 Cheerful green accents with classic gray type. All on luxurious Crane’s Lettra Pearl White 100% cotton paper.